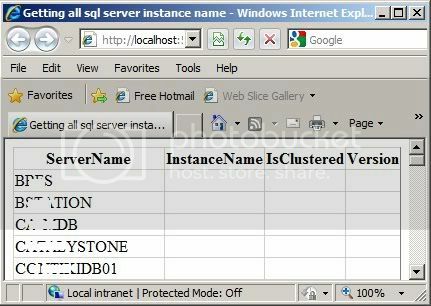 This was a nice example for listing the SQL Server instances. The best thing about this code is, it works even there is no LAN in your system, which is not possible using the SQLDMO object. Thanks!! This works very well..